What does it mean to “understand” climate change? Does it mean the same thing to concerned citizens as it does to natural scientists, or humanities scholars, or policymakers? 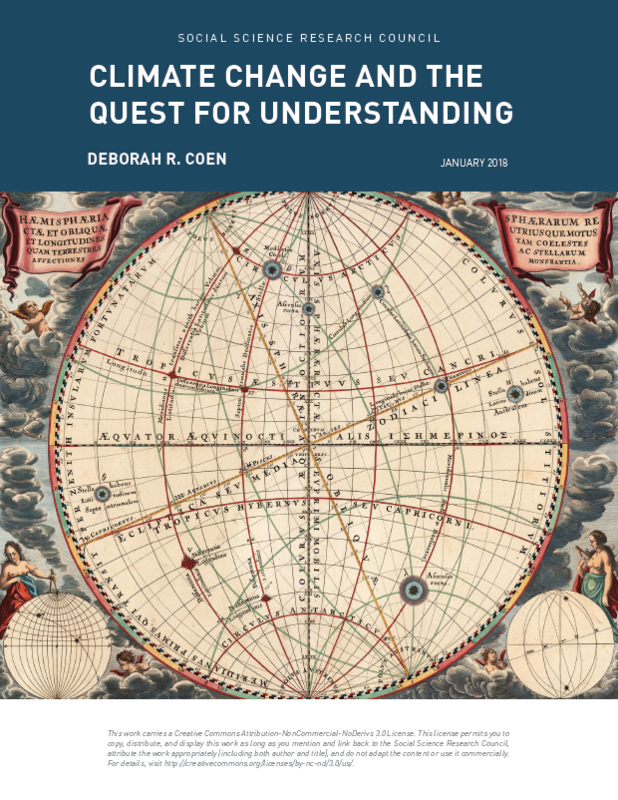 In her brief history of climate science since the nineteenth century, Deborah Coen challenges the traditional dichotomy between scientific explanation and humanistic understanding that she argues predominates the study of climate. Coen, Deborah, Climate Change and the Quest for Understanding (New York: Social Science Research Council, January 2018).